I saw Yoda today in Trafalger Square. He looked taller than the last time I saw him-he must have been eating his greens. Okay, so you thought you’d seen the last of me for a few days. But, for the first time, I took my iPad away with me as my antique phone is playing up. So I decided to use it for a few photographs and the odd update. Just in case I should disappear off the map. Canary Wharf: feeling small. A poor man’s Stonehenge. How far have we come from the Neolithic? In the midst of city life, there were some coots nesting in the water to the side of me, the calling chicks catching the attention of some cooing, slightly tipsy women. Alas, it was too dark for me to capture them. The chicks, I mean. The women continued to dance beneath neon lights. Above the monoliths. Looking down; looking up. In the distance: the Shard. I resisted its call. The DLR crosses the bridge. Driverless trains- would you feel safe? 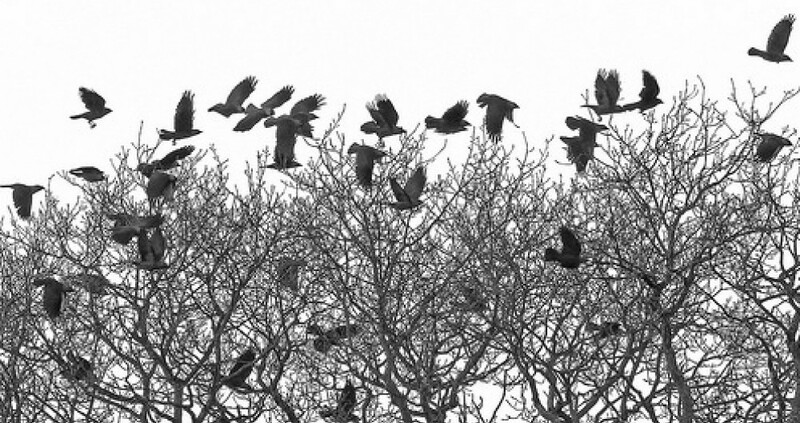 How many Jackdaw Andy’s can you cope with? Using my iPad that way it looks like I’m waving a hymn book about, threatening to break into song. And these unforgivable angles show just how much I’m beginning to thin on top. Damn wife; damn kids; damn time! Did I leave anything out ? Maybe a smile? I am off to London in the morning for three nights, arriving back on Monday evening. For those of you who are familiar with the whole ‘journey’ theme of my book Heading North, the last time I was in our capital city I wrote three poems for possible inclusion in the book. I was going to publish two that didn’t make the final cut here in this post-but at this late hour I can’t find them! One was still in early draft form, entitled London Lines, and the other was a completed poem that I didn’t think quite up to scratch (tellingly the title now escapes me). So, until I do locate them, I will include here the only one of the three that made my collection. It was written in the very same hotel, in Canary Wharf, that I’m staying in this weekend. Maybe inspiration still lingers the corridors, eh? Perhaps my muse is still joyriding the elevators. We shall see. In the meanwhile, have a great weekend people. speed induced and web infused. Think she will move out by weekend. A friend took this photograph last week while walking around Stiges, in Spain. O the ashen face, the course thatch, the crystal arms! The cannon I collapse upon, through a topple of trees and soft air. I should imagine my friend was far from ashen faced when he returned from Spain. All that sun, all that blue, stretching away to the far horizon. Jealous? Well, maybe I was, for a day or two. But, as Rimbaud put it: I is someone else. Two years ago, and I still haven’t re-discovered that quote. A few of my recent posts have been a little time-oriented. I came across a quote a while ago in a book, and now I can’t find who it was that made it, or exactly what it was, verbatim. But it was something along the lines of how we cannot appreciate the present because we are too caught up thinking about the past, and planning for the future. Or was it re-living the past and fearing the future? Cockroaches, after losing their heads, can live for nine days before starving to death. My kids can’t get to ten o’clock.